We offer the best family pet you’ll ever meet and we encourage you to meet with us and our four legged family. Our pups are raised in our homes, not ever in a kennel and are socialized with kids and other pets. 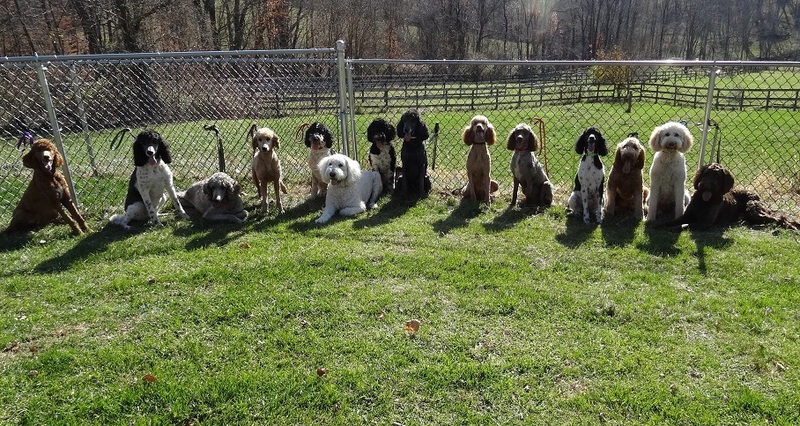 The whole bunch: Destiny, Daisy, Sugar, Amber, Cookie, T-Boone, Poppy, Phoebe, Yankeedoodle Simply Red (Reba), Jade, Squish, Geronimo, Oriana and Jaxxson. We are very proud to have received the Avella Award for Dog Breeder of 2013. We will certainly strive to stay on top in the coming year as well. Check our testimonials page for the copy of the accompanying press release. 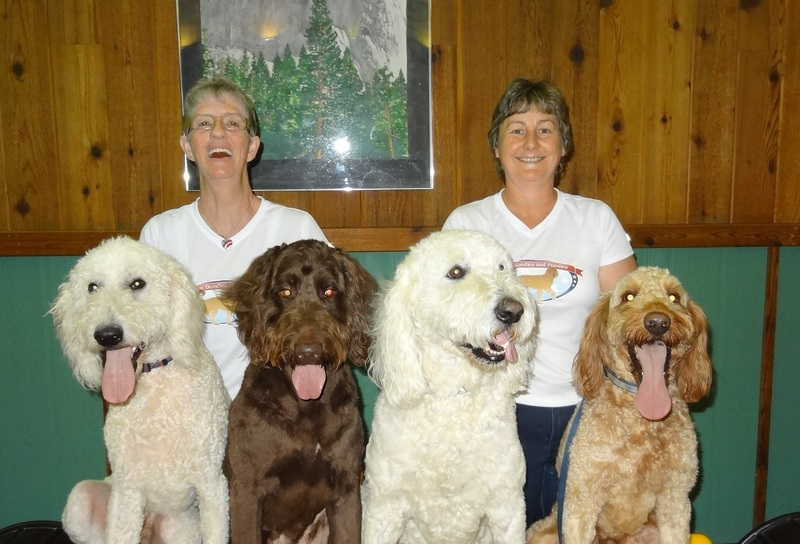 You can’t beat the goldendoodle for trainability and loving personality. Be sure to check out our available puppies. We’re sure you’ll find them as adorable as we do. Call for an appointment to find out what all the hype is about.